EAST AURORA, N.Y.--(BUSINESS WIRE)-- Astronics Corporation (Nasdaq: ATRO), a leading provider of advanced technologies for the global aerospace, defense, and semiconductor industries, announced that its wholly owned subsidiary, Astronics AeroSat, recently received European Aviation Safety Agency (EASA) certification of its next generation SATCOM connectivity system. 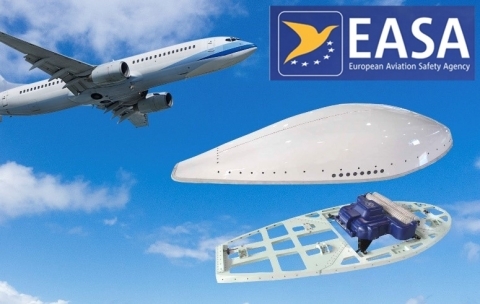 The components certified include Astronics’ FliteStream®F-310 SATCOM connectivity antenna and its new ARINC 791 style AeroShield™ radome and adapter plate solution. Further data is available in EASA Supplemental Type Certification (STC) 10068156.